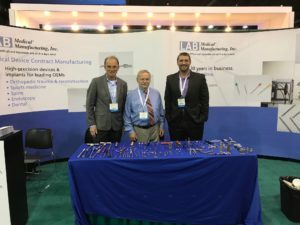 For the Past 7 years LAB Medical Manufacturing has showcased our capabilities and quality at the annual Omtec convention. This year has been one of our best so far! With all of the growth the company has seen year to year it was time to move into a bigger booth. We would like to thank all of our existing clients and future clients that stopped by! Hope you all enjoyed yourselves as much as we did.